Easter is a time of celebration and the best way to celebrate the good things in life are with exciting bingo games and fabulous prizes. 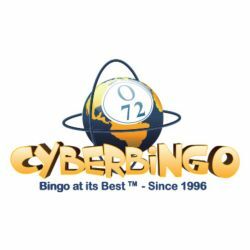 Join in the Easter Celebrations with CyberBingo in April and win up to $300 in cash every week in our action-packed Easter Egg Bingo Tourneys. Join your bingo roomies for Easter Bingo fun from Monday till Thursday every week in the Spring Bingo room and hunt down our special Easter Egg Bingo Tourney games to climb the tourney leader board and win a share of $1,000 in guaranteed prizes every week. That’s an amazing $4,000 of prizes to be won in these Easter Egg Bingo Tourneys throughout April! Easter Egg Bingo Tourney bingo games will play once an hour every day on our special Easter bingo patterns between 12:01AM EDT on Monday and 11:59PM EDT on Thursday in the Spring Bingo room for only $0.50 a card. Not only can you win a fantastic cash prize playing these special tourney games, you’ll also receive 1 tourney point on the tournament leader board. With prizes for the top 20 players every week, start collecting your tourney points and win up to $300 in cash every week. Get more chances to be a winner with a special Buy 6 Get 3 Free offer on all Easter Egg Bingo Tourney bingo cards. Simply select 9 cards and you’ll only pay for 6!